All Wheeler homes currently listed for sale in Wheeler as of 04/23/2019 are shown below. You can change the search criteria at any time by pressing the 'Change Search' button below. "PLEASE DO NOT DISTURB TENANT, 24 hour notice please. Windows galore. 2nd floor desirable master suite living area w/open bedroom, living & studio and/or office areas. Bay & Mountain Views abound. Deck, tub/bathroom w/laundry. Lower level has front porch, 2 add'l bedrooms. Open kitchen, dining & front room. Wood stove heat along w/wall units. Lovely sounds from creek way down below rear beautiful forest area. 1 car garage. Large Lot"
"Water & Sky! Spectacular views over Nehalem's Bay, River and Onion Peak Mountain. Charming home centrally located in neighborhood south of Downtown Wheeler. 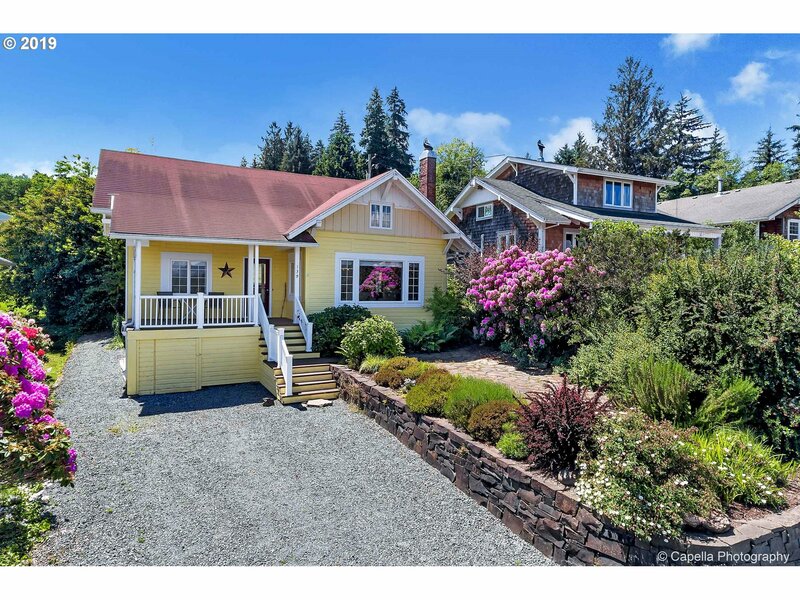 Manzanita & Rockaway Beach just minutes away! Living room has an open brick fireplace. The restored wood floors is a true show stopper. Front porch & flagstone patio allow you to take in those views. Large backyard for those w/ green thumbs. Bonus space upstairs off bedroom." 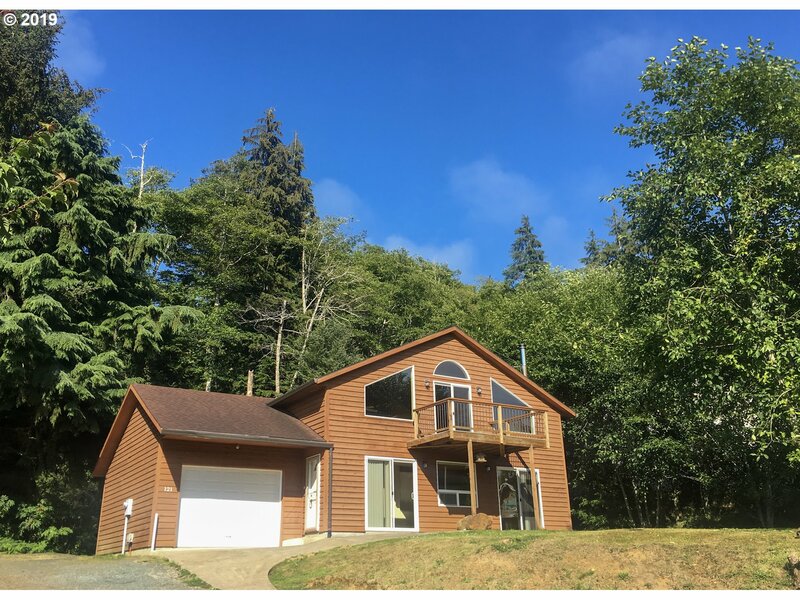 "Roomy home on 1/4+ acre level lot w/separate shed. Large kitchen, dining area & living room w/ fireplace. Some fir floors. 3bdrms-2 main & 1 up, 2 full baths. Single-car garage underneath. Covered porch. 3 blocks to Nehalem Bay for fishing, kayaking. Catch the steam-engine-driven train for the Fall Foliage tour, or jump on an Oregon Rail Rider pedal car. Public dock. Beach <5 miles away." "SPECTACULAR VIEW of Nehalem Bay and Neahkahnie Mt. from this unique oldie but goody. Cozy, comfortable cabin like feel in this single wide with delightful extra living space built on. 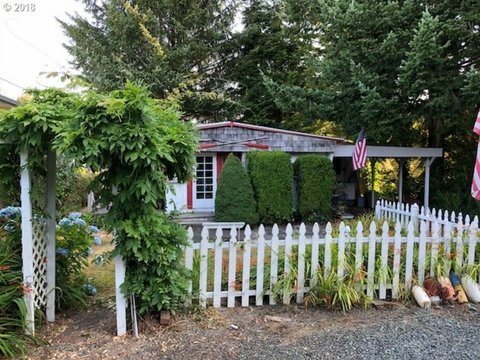 Just a few blocks to Wheeler shopping, fishing and crabbing and only minutes drive to Manzanita beaches and State Park. Room on this large lot to build your own boat storage and shop. Outside the Tsunami zone. Bring some TLC, this view could be yours."